Discussion in 'Honorbuddy Guides' started by fpsware, Sep 17, 2010. When reporting any issues with HB its best if you attach your HB log file. Log too big to upload? CLICK HERE! Find the most recent log file and attach it to your post. This step may vary depending on your personal settings. In order to attach a log file you need to be in 'Advanced View' when posting. When you are posting a message, in the bottom right of your post you will see a button that says Go Advanced. Click this, it will show more options and allow you to attach a your log file. In Advanced view you will see the below toolbar. Click the paper click icon (highlighted). You will now have another window on screen, click the Browse button. Browse to your HB Logs folder and click select the most recent log file, click the Open button. Now click the Upload button. Your log file is now attached to your post. Submit your post. highvoltz and Breyna like this. It seems that a lot of users don't know what to do when their log file is too big for the upload manager. The staff will not accept partial logs because the entire log contains vital diagnostic information. .txt files are highly compressible. Logs that are 50mb in size can be uploaded to the board in .zip format. Note: Do not confuse .zip and .rar. A rar archive will not be accepted by the upload manager. To zip your log, right click the correct file and move your mouse over Send to, and then click on Compressed (zipped) folder. 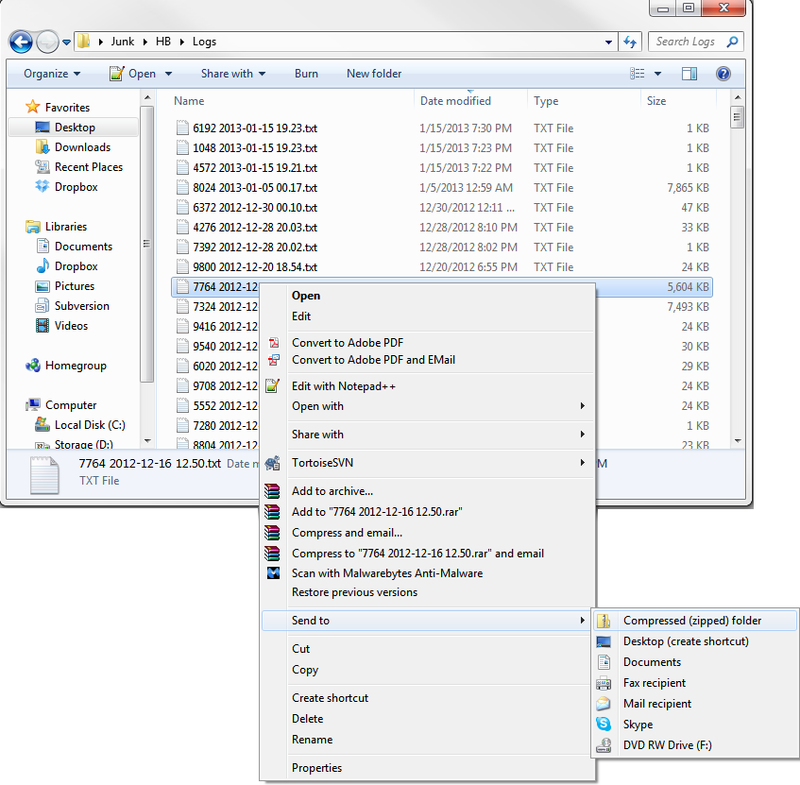 After you send the log to a zipped folder, the folder will appear with the same file name, but with the .zip extension. 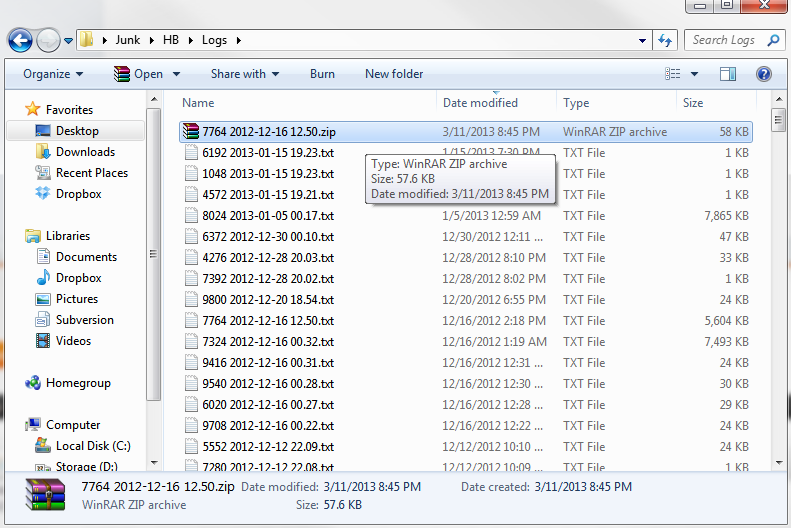 Note: My zip archives display as WinRAR ZIP Archive because I have WinRAR installed. You then upload the .zip.